Enjoy a restful evening followed by a hearty breakfast that will start your day the right way. 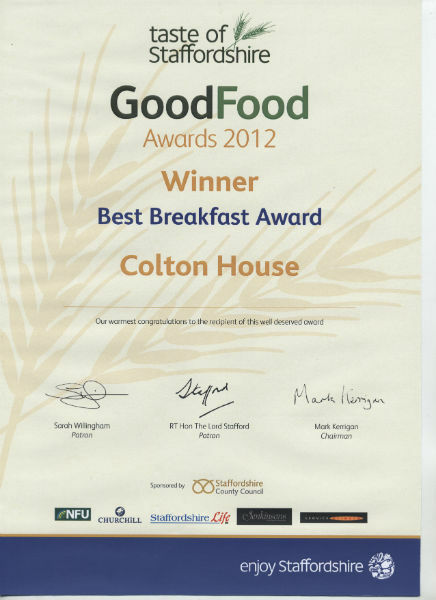 At Colton House, we’re passionate about using local produce wherever possible and our brilliant breakfasts showcase this. All of our eggs are sourced from free-range hens from a neighbouring farm; our honey is provided whenever possible, by our next door neighbour; our marmalade’s and jams come from people in the village or are from our own fruit, and our sausages are supplied by a small local company. Bovril and Marmite are both made locally in Burton on Trent. Bovril is a meat extract being produced for the last 150 years; it was originallymade to feed Napoleons troops. Marmite as a product was set up in 1902 when it was discovered that the byproduct of the brewing beer had a use. In addition the apples for the juice are from next doors garden and pressed for us at Haywood Park Farm. All of our breakfasts are individually cooked and can be enjoyed from as early as 5:30 am, or later at a time to suit you. Fancy an easy morning? 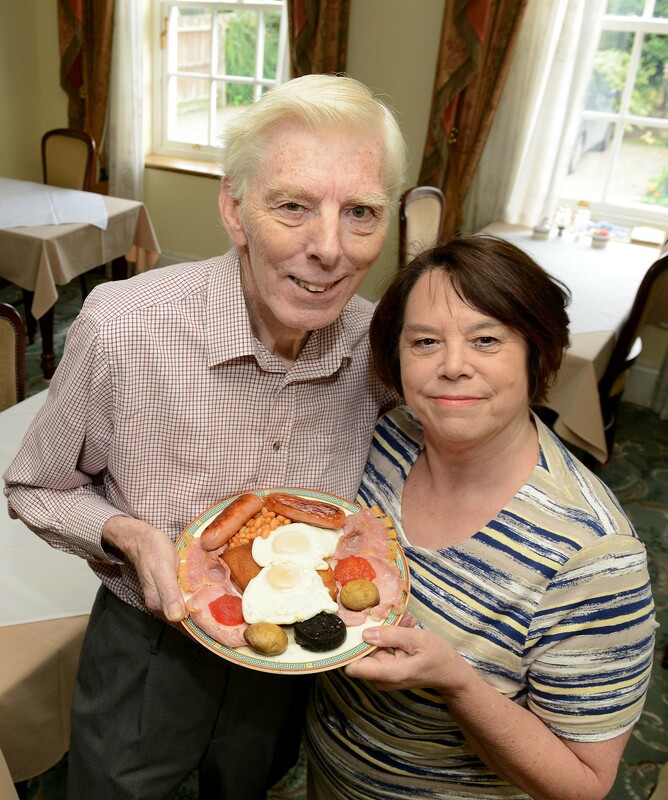 Then let us serve your delicious breakfast to you in your room for only an additional £2.50 per person. Choice of Juices – Orange, Grapefruit, Apple*etc. Choice of Marmalades*, Honey*, Jams*, Bovril* and Marmite* etc. Choice of Teas, Coffee or Chocolate etc.